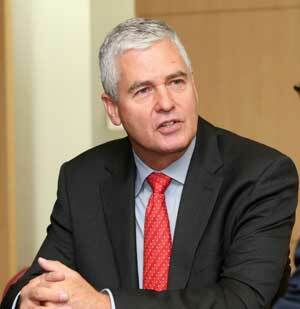 Dr. Frank Rijsberman is Director-General, Global Green Growth Institute (GGGI). SEOUL, Mar 6 2018 (IPS) - The world has seen tremendous economic growth over the last decades, which has led to poverty reduction and increased welfare for millions of people. Environmental sustainability and social inclusiveness are key to the resilience of these gains and continued growth. “Leaving no one behind” as we navigate a shift towards green economies must be woven throughout the growth and development agendas. Addressing barriers to gender equality requires bold leadership, innovations, and broad, cross-sectoral engagements. Transformational change happens through deliberate strategy, resources and actions. For example, the Government of Rwanda has shown commitment to gender mainstreaming across ministries, and GGGI has supported the adoption of a Gender and Social Inclusion Framework into the National Roadmap for Secondary Green City Development. 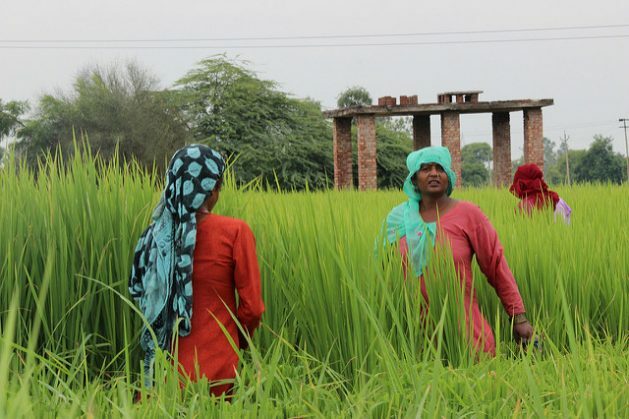 Out of 173 economies surveyed, 155 have laws impeding women’s economic opportunities, be it gender-based job restrictions, legal rights to land tenure, and other policies which hampers women’s opportunities to be active agents of change in the families, communities and country. In Vanuatu, GGGI has supported the government taking policy a step further by making finance work for women, marginalized groups, and the poor by incorporating gender and social inclusion into the design of a National Green Energy Fund (NGEF). By aligning the fund’s financing criteria with the Sustainable Development Plan and National Gender Policy, the aim is to enable women and men to access credit to invest in green technologies through innovative and inclusive finance. Under the Amazon Vision Program in Colombia, GGGI has supported indigenous groups to have direct access to financing. GGGI supported the Organization of Indigenous People of the Colombian Amazon Region (OPIAC) in developing a successful proposal for strengthened environmental governance. In its implementation, women and men will be involved as green jobs are created. Securing livelihoods opportunities is essential to fight against deforestation and remove environmental stressors in remote areas of the Amazon. Similarly, in Indonesia, GGGI’s work with the Peatland Restoration Agency to mainstream gender responsive policies into the mobilizing of public private partnerships and carbon finance to restore and stop further degradation of peatlands across the country will ensure creation of co-benefits to local communities. Without the active participation of women in decision-making and implementation, a project is less likely to achieve its economic and environmental objectives. The Word Bank. 2015. Women Business and the Law 2016. Getting to Equal. Washington.